Unlike any other major bike brand in India, there's a certain something that the Royal Enfield carries with it. Some refer to it as the the aura of Royal Enfield. Some, the Royal Enfield mania. 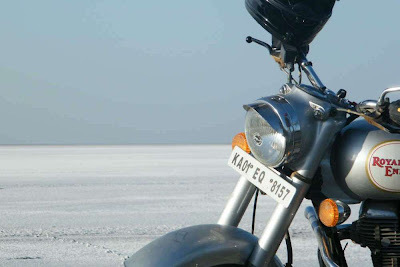 While others refer to it as the Royal Enfield culture. But, the waiting period of more than a year for two of Royal Enfield’s top-selling models – Classic 350 and Classic 500 – is driving the customers mad. Now, with the demand far outstretching their production due to capacity constraints, the Chennai-based company is going full throttle to roll out its expansion plans to address the rising demand for the past 18 months. Every Classic 350 and Classic 500 gets absorbed months before they hit the production line at the Tiruvottiyur plant in Chennai. The company is not only planning to increase the production capacity – from 50,000 units last year to 100,000 units – here, but also thinking about setting up a new plant three times the size of the existing one. Siddhartha Lal, managing director and CEO, Eicher Motors, said: "Our initial plans were to set up a 150,000 unit-a-year plant but we believe that this capacity will get used up in two or three years. So we are now hiking the capacity to 250,000 units a year. Finer details like the location and investment are yet to be finalised." This intiative, the brand's loyalists believe, should have been planned a year back. 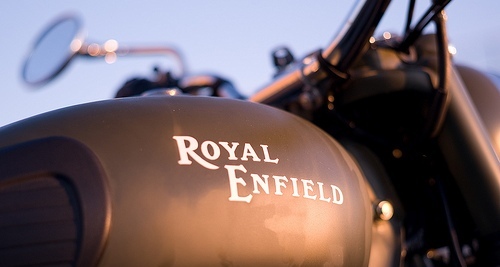 New Delhi-based Eicher, the commercial vehicle making company, is the holding company of Royal Enfield. The company had increased production by 50 per cent to 6,000 units a month from 4,000 units in March. It plans to invest Rs 65 crore on expansion. "We have been carrying out expansion at Chennai. Last year, we added a significant portion but this year despite continued demand we will not be able to add more than 10 per cent," added Lal. The unlisted two-wheeler company is talking to governments of Andhra Pradesh and Tamil Nadu for greenfield expansion, which could entail an investment of more than Rs 300 crore. There has been, however, no confirmation on this front by the company. According to sources, the company plans to add 150,000 units capacity in the first phase and another 100,000 units per year in the next phase to cater to the demand for at least the next 5-7 years. Royal Enfield sells five models in India and witnessed a growth of 8.74 per cent during the last financial year at 54,475 units. The growth was largely restricted due to the company's inability to expand production. Royal Enfield sells only 10 per cent of the total sales figures of Hero Honda – by far the country's biggest bike maker – but industry experts believe that there was no brand which could be on par with Royal Enfield. "For decades Royal Enfield has developed bikes which are very different in their character and unique. The positive for the company is that it has further enhanced that character which has no doubt attracted more buyers," said a senior executive of a bike making company. Lal, who manages the truck and bus operations along with Swedish partner Volvo, is an ardent fan of the Royal Enfield brand, which many Indians still consider a British trademark. Lal personally overlooks Enfield's product development programmes and works closely with former Bajaj employee R L Ravichandran, who is widely credited with the turnaround of Royal Enfield. Ravichandran was recently made the executive director of Royal Enfield and Eicher Motors after serving the two-wheeler brand as chief executive for several years. Venki Padmanabhan was promoted as the CEO from COO. While Lal refused to divulge further details, senior executives privy to Royal Enfield's plans said new models will only be a step ahead from the Classic range. Royal Enfield is also working on higher-capacity twin-cylinder models that are set to make a come back on Indian roads after a gap of several decades. The launch of these bigger and faster bikes will take at least 18 months. Although the focus for Royal Enfield has always been its DNA – encompassing rugged styling, robust and durable engines – it wants to play up on segments (500cc and above) where many international brands are planning new launches. Also in the works is a diesel engine model that will make a re-entry of sorts on India roads. It was earlier phased out following air pollution issues. The idea is to extract maximum mileage like the earlier Royal Enfield diesel model that ran 125 kms to 1.5 litres. At present, no bike maker in India makes diesel-powered motorcycles.